The month of July saw Shubhankar Sharma of India making his first cut at the 147th Open at Carnoustie Golf Links in Angus, Scotland, with a miraculous birdie on the 18th, the most needed shot of his game on 20th July 2018. The event though was won by the Italian Francesco Molinari with two strokes over Justin Rose, Rory McIlroy, Kevin Kisner, and Xander Schauffele. Shubhankar Sharma finished T-51 at 4-over 288, making him richer by $27,161 (₹18,69,355). He was joined by Yuta Ikeda, Jason Dufner, Lucas Herbert, and Byeong Hun An. The Barracuda Championship is a professional golf tournament on the PGA Tour in western Nevada. Founded 19 years ago in 1999 as the Reno–Tahoe Open, it is an alternate event played annually in August at the Montrêux Golf and Country Club, located midway between Reno and Lake Tahoe. Opened in 1997, the par-72 course was designed by Jack Nicklaus and plays at 7,472 yards (6,832 m); its average elevation is 5,600 feet (1,710 m) above sea level with an elevation change of 800 feet (240 m). Chris Stroud won the event in 2017 after defeating Greg Owen and Richy Werenski in a playoff and took home a winner’s share of $594,000 out of $3,300,000 prize fund. The inaugural event of 1999 was won by Notah Begay III with three-strokes over Chris Perry and David Toms. 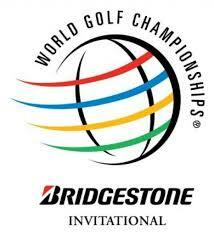 The WGC-Bridgestone Invitational is a professional golf tournament, one of the annual World Golf Championships. It is sanctioned and organized by the International Federation of PGA Tours and the prize money is official money on both the PGA Tour and, except for the 2016 event, the European Tour. The event, sponsored by NEC through 2005 and known as the WGC-NEC Invitational, was established in 1999 as a successor to the World Series of Golf, which was also sponsored by NEC. The tournament changed sponsorship in 2006, with Bridgestone taking over from NEC as title sponsor. 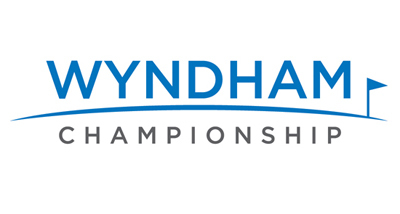 As a part of the original five-year sponsorship agreement, the event continues to be held at its traditional site of the South Course of Firestone Country Club in Akron, Ohio. In August 2013, the sponsorship was extended through 2018. The 2018 event will be the last in Akron, with the 2019 event scheduled to be held in Memphis, Tennessee. The PGA Championship (often referred to as the U.S. PGA Championship or U.S. PGA outside the United States) is an annual golf tournament conducted by the Professional Golfers’ Association of America. It is one of the four major championships in professional golf, and it is the golf season’s final major, played in mid-August on the third weekend prior to Labor Day weekend. (It was rescheduled for 2016 to late July to accommodate golf’s return to the Olympics, and from 2019 will become the year’s second major, taking place in May.) It is an official money event on the PGA Tour, European Tour, and Japan Golf Tour, with a purse of $10 million since the 97th edition in 2015. Justin Thomas will be defending his title at the 100th PGA Championship which he won with two-strokes over Francesco Molinari, Louis Oosthuizen and Patrick Reed, and in so doing took home winners share of $1,890,000 out of a total prize fund of $10,500,000. Founded 80 years ago in 1938 as the Greater Greensboro Open, it was usually played in April or May, until a schedule change in 2003 moved it toward the end of the season. Less than two months shy of age 53, Sam Snead set PGA Tour records in 1965 for his eighth win at an event and as the oldest winner of a tournament; both records still stand. Davis Love III, the 2015 champion at age 51, is the oldest to win in the senior tour era, which began in 1980. Charlie Sifford competed in 1961 and became the first African American permitted to play in a PGA-sponsored event in the South. He led after the first round and tied for fourth. The event was won by Henrik Stenson by a stroke over Ollie Schniederjans and took home a winner’s share of $1,044,000 out of a total prize fund set at $5,800,000 at Sedgefield Country Club. The Northern Trust, formerly The Barclays, is a golf tournament in the New York City area on the PGA Tour. Since 2007, it has been held in late August as the first (of four) tournaments of the playoff system for the FedEx Cup. The field is limited to the top 125 players on the FedEx points list for the regular season (last October through the preceding week). The event was first played 57 years ago in 1961. In 2017 Dustin Johnson won the event in a playoff over Jordan Spieth and took home a winners share of $1,575,000 from a total prize fund of $8,750,000 at the Glen Oaks Club. The prize fund has been increased to $9,000,000 out of which $1,620,000 will be the winner’s share. Replacing the Air Canada Championship in British Columbia on the tour schedule, the tournament made its debut in 2003 as the Deutsche Bank Championship. It is held at the Tournament Players Club of Boston in Norton, Massachusetts, south-southwest of Boston. Unlike most PGA Tour events which are played Thursday through Sunday, this tournament is played Friday through Monday, with the final round on Labor Day. It became part of the first-year FedEx Cup playoffs in 2007, with its purse increased to $7 million. The purse in 2017 is $8.75 million, with a winner’s share of $1.575 million. As the second of the four playoff events, its field is limited to the top 100 players on the FedEx Cup points list. Points are amassed during the PGA Tour’s regular season and the first playoff event, The Northern Trust, which takes place the previous week in the New York City-area. Dell Technologies took over as the title sponsor of the tournament in 2017; new subsidiary Dell EMC is headquartered in Massachusetts. Deutsche Bank sponsored the first fourteen editions, through 2016. The event is currently managed by the PGA Tour; it was managed by the Tiger Woods Foundation from 2013 to 2016. The event was won by Justin Thomas with three-strokes margin over his pal Jordan Spieth at TPC Boston, taking home a winner’s share of $1,575,000 out of the total prize fund of $8,750,000. This year the prize fund has been increased to $9,000,000 and winner’s share has been increased to $1,620,000.